Sometimes it’s a bit easier to see and build when you’re physically moving things around which is pretty impossible when you’re just typing code in on your computer. 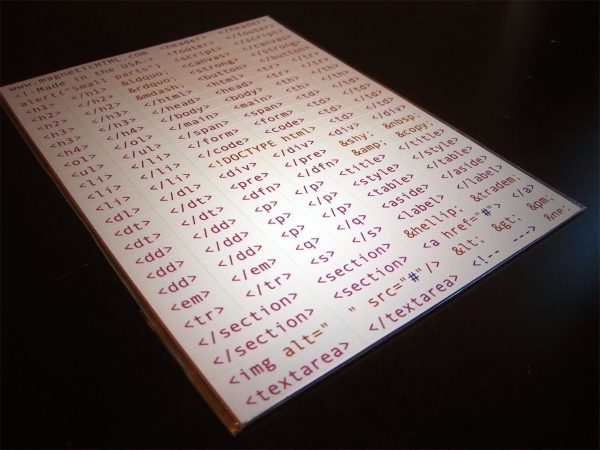 These little magnets let you string code together to create your own HTML based projects. Of course you’re going to have to retype everything to test it out but that can serve as valuable editing and testing, you might see something you missed when you start transferring information. Or it can help you think of your code in new ways. Or perhaps it serves no practical purpose but it will let people know you’re about that HTML life when they go to grab a drink from your fridge. 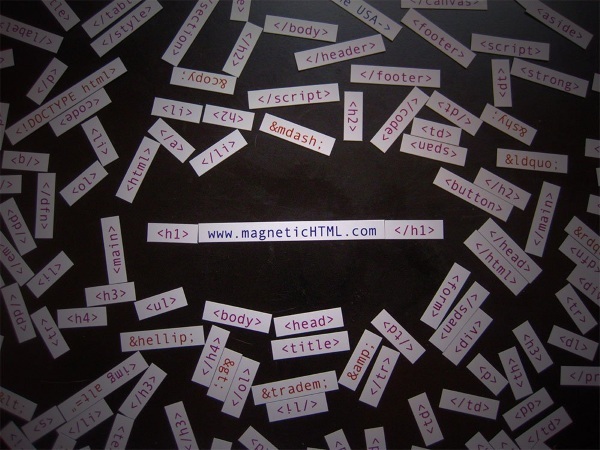 Magnetic HTML is $9.99.